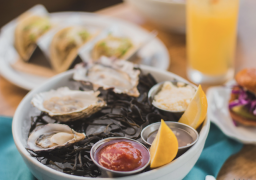 Perfectly placed next to the chilly waters of the north Pacific, Seattle is the prime spot for some of the best seafood the U.S. has to offer. Known for its seafood markets and flying fish, the best ingredients make their way through Seattle’s harbor and onto the plates of hungry customers. With so many places to choose from, how can you know where to go? 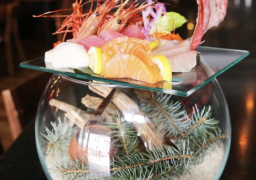 Well with this short list of highly rated restaurants, you get to savor the best seafood the Pacific has to offer. With a pure focus on seafood and location right in the heart of a fish market, this is the spot for any self-respecting seafood connoisseur. It's a small restaurant, but really provides the Seattle vibe, with countertop service and plenty of outdoor seating to immerse the customers in the environment that Seattle is so famous for. The best part about all the seafood options is that all that fish makes for the perfect brain food, and while you are waiting for your meal, you can try a few tricks to maximize that brain fuel you are about to receive. A larger two-story restaurant that makes any customer reminisce about the lake trips they used to take as a kid or make them want to take in the future. 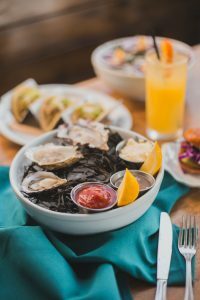 With a lodge-like interior, you will feel like you were out fishing all day and came back to cook up your prized catch as you sink your teeth into their large variety of eco-friendly seafood specials. And you can wash your meal down with a choice of spirits and other alcoholic beverages. What’s better than that after a hard day of make-believe fishing? With such a unique name, this restaurant has to be able to back it up with a unique experience. Although known for their exquisite oysters, The team at the Walrus and The Carpenter are able to craft many more amazing dishes, with a huge selection of seafood and some good ol’ fashion American classics for those who enjoy their meals by land instead of sea. They even have a whole section of their menu dedicated to raw dishes to fulfill any sushi lover’s cravings. 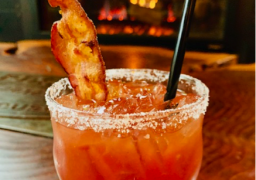 Unique cocktails as well as a unique setting round out the experience, ensuring that the customer has a satisfactory experience and a full stomach. 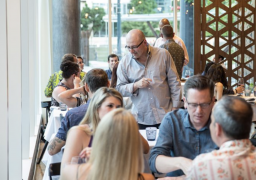 Seattle has many more great restaurants to offer, but no customer can go wrong making these a priority on their lists. So after you try these places, exploring the rest of Seattle’s expansive seafood culture is a must. And if they don’t live up to expectations, then you have three of the best to come back to, ready to serve you premium seafood at a moment’s notice. 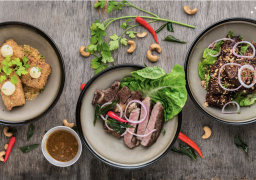 Now get out there and start sampling some healthy, brain boosting dishes.